The secret ingredient in this tasty cornbread is butternut squash. Pumpkin, acorn squash, or another cooked and mashed winter squash would work as well. The squash adds flavor and moisture to this classic buttermilk cornbread. If you like a less sweet cornbread, reduce or omit the sugar in the recipe. Dried or fresh chopped herbs would make a nice addition for a savory cornbread. Grease an 8-inch square baking pan or deep-dish pie plate or spray it with nonstick cooking spray. Heat oven to 375 F (190 C/Gas 5). In a mixing bowl combine the cornmeal, flour, baking soda, baking powder, salt and brown sugar. In another bowl, whisk together the egg, 1/2 cup of the buttermilk, the mashed squash, and vegetable oil. Combine the wet ingredients with the dry ingredients; mix until well blended, adding more buttermilk if needed. The batter will be thick, but easy to stir by hand. Bake for 25 to 30 minutes, until nicely browned. This is a delicious cornbread for fall and winter dishes. Serve it with beans, greens, soups, or chili. Use a cast iron skillet for a crusty cornbread. Add enough vegetable oil or bacon drippings to coat the bottom of the skillet and heat it in the oven before adding the batter. 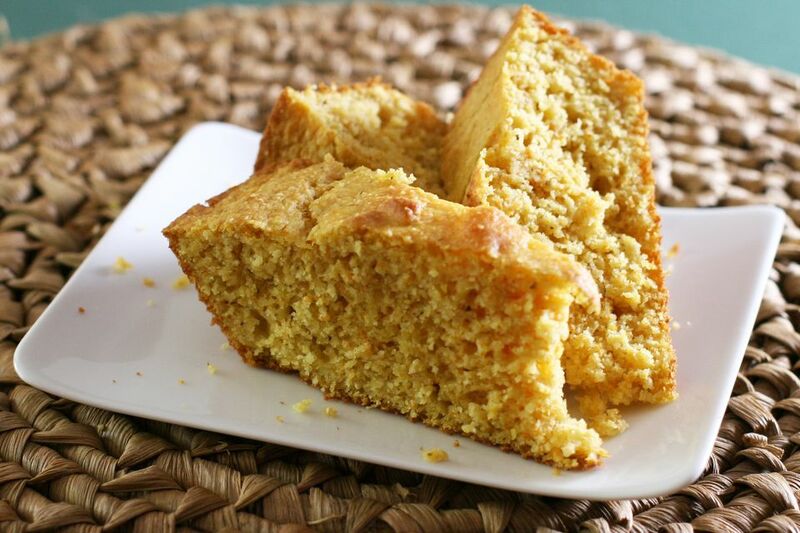 Pumpkin Cornbread: Replace the mashed butternut squash with 1 cup of canned pumpkin puree.